There’s a shortage of automotive technicians and diesel mechanics who are able to carry out vehicle inspections in New Zealand. If you’re planning a career change and considering moving to New Zealand, then you’re well on your way to discovering New Zealand’s unique lifestyle, cultural diversity and family-friendly environment, making it an ideal place to live, work and play. Many of our vehicle inspectors are experiencing life in New Zealand after moving from the UK, South Africa, Fiji, Singapore and other countries around the world. If you’re a qualified and experienced automotive technician or truck mechanic, we would love to hear from you! 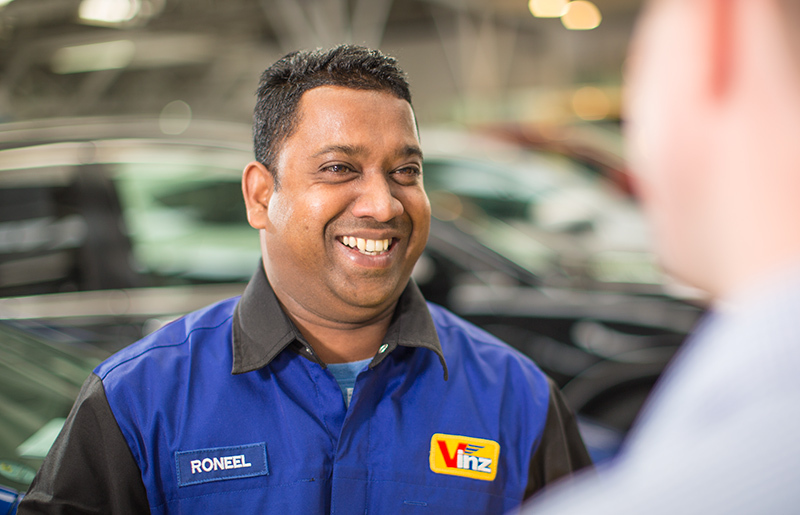 "Moving countries and starting a new career in NZ was made so much easier with the support of VINZ. The guidance and advice given was invaluable and removed many of the burdens and stress involved with immigration." "Choosing a career path with VINZ and moving to NZ has been a life changing experience for me and my family. We love NZ and all that it has to offer. Thanks VINZ for giving us the opportunity to make NZ our home." VINZ is an accredited employer with Immigration New Zealand (under the work to residence, accredited employer category), so this will assist in fast-tracking your application. VINZ invests heavily in training and development to ensure your career ambitions are met. We understand moving to NZ is a big decision. We’ll support you and your family to make the process as easy as possible and help you become part of our team. VINZ can assist you by: contributing up to $5,000 (NZ$) towards your relocation expenses; and arranging two weeks’ accommodation and transport on your arrival.